On this week’s podcast, Marcus sits down with Allen Carroll, a partner with Wilkins Miller. I think if we learned anything from this episode is that Allen is not only committed, but likes to have fun! 31 years of the same post-college job to flying planes and riding street bikes, there’s much wisdom to be learned. Allen: Hi. I'm Allen Carroll. I'm a partner with Wilkins Miller. Marcus: Well, welcome to the podcast, Allen. Allen: Thank you, Marcus. Congratulations to you and your team on your recent recognition as small business of the year. That's an incredible honor and recognition, so good job. Marcus: Thank you very much. I do appreciate that. I think we were talking a little bit before, and I mean it was as big a surprise I think as I could ever have imagined, but it is absolutely an honor, and we don't take it lightly. Yeah. Marcus: Well, we always start by getting a little bit of information about who the person is. You and I have a chance to visit a little bit, so I know a little bit about your story, but why don't you tell our adience the story of where you're from? Where'd you go to high school, college, married, how you got to where you are right now. Allen: Sure. I was born in Mobile, the only child of two great parents that ... best parents anybody could ask for. I graduated from Baker High School and then went onto the University of South Alabama, where I graduated with a degree in business with a concentration in accounting. I joined my firm, Wilkins Miller, right out of college. I just celebrated my 31 year anniversary with that firm this summer. Wilkins Miller is a CPA and advisory services firm here in Mobile, with offices in both Mobile and Fairhope. Sort of on the person front, I was fortunate enough to marry a gorgeous, young lady that I met in high school. We got married right after college, and next week we will celebrate our 31 year anniversary. Allen: Thank you. That was the easiest decision that I ever made. Marcus: The hardest sale, but the easiest decision, right? Allen: That was easy. We've got two kids, a 26 year old son that lives in Auburn and a 22 year old daughter that is at the University of South Alabama. Marcus: Very good. How long has Wilkins Miller been around? Allen: Wilkins Miller traces its roots back to the early 60s. When I joined the firm in the late 80s, '87, it was known by a different name at the time. It was actually an office of a national firm, and our name has changed over the years, but the organization that I joined as the core is still there. Marcus: Very good. I mean, you all have a very good name in the area, not just for the accounting services that you provide, but also for kind of the business knowledge that you bring along with that. Allen: Well, you're kind to say that, and thank you. We're proud. We have a wonderful group of people. We've got a wonderful group of clients as well. Marcus: The reason why I say that is because your team has been involved in the emerging leader stuff, and I think, if I remember correctly, 1702 and a number of other things that I've been involved in, so I've gotten to know a couple of folks that work for you, and I very much enjoyed getting to know them. But let's go back in time, your first job. This is your crap job, right? This isn't Wilkins Miller, you know, starting out in accounting. This is flipping burgers, or scrubbing toilets, or mopping floors job. What was that first job, and what were some of the lessons that you remember from that? Marcus: Yeah. It's interesting, because we've done a number of these interviews now, and one of the common themes, especially with people that have achieved great success, is not just doing what is expected of them, but actually going above and beyond that, whether it's the customer service, or the information that's provided, or the washing of the cars, you know? I mean, making sure that everything is done to a T. We were just talking with Mamun, which he's a realtor, but he's from Bangladesh, which was a really interesting story. He started out as a dishwasher. You know what I mean? I mean, even there in washing dishes it's like be the best dishwasher that you can be. It's the old adage of if you're gonna be a garbage collector, be the best damn garbage collector that there is. Marcus: Then you just find that as you're doing these things that you're handed more responsibility and more success. Marcus: Now, I normally ask about how you start the business, and you didn't start Wilkins Miller, but obviously as a partner you have a very integral part. Why don't you describe, because I don't think a lot of people understand what that kind of entails. What does a partner at an accounting firm really do? Allen: Well, a partner in an accounting firm ... Of course there's various disciplines within a traditional accounting firm. You've got financial reporting, which might typically be referred to as audit types of things, where folks are auditing companies, the financial statements. You have tax compliance area. You have outsource accounting area. You've got a number of areas. You have a consulting area, which is where I spend most of my time, with forensic accounting, litigation services, working with attorneys. That's where I spent the majority of my last 25 years. But within any industry, and accounting's a great example, you know, you're focused early on with technical skills and learning technically skills, being the best at that, but as you mature, and get more experience, and work yourself through the ranks, so to speak, you can grow and become more of an advisor to your clients and working more closely with clients, and senior leadership, and owners. Allen: So, at the end of the day, you're working with folks trying to help them achieve whatever it is that they're trying to achieve at the highest lever, and so partners in accounting firms are ultimately responsible for those relationships. 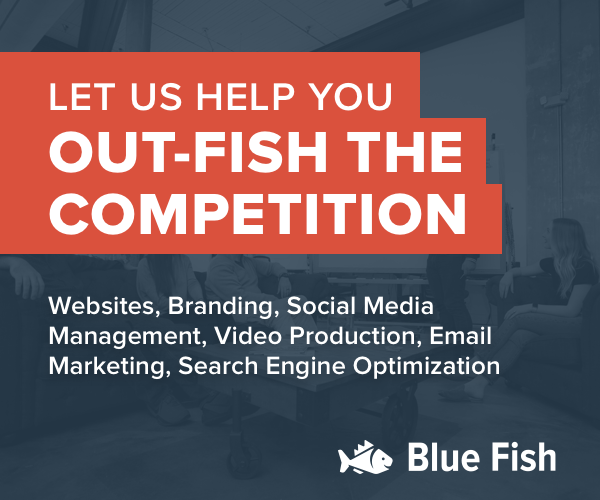 We have help with all of those things with a number of really good folks, and every engagement is approached with a team. But you are a business owner. A partner is a business owner. A partner is responsible for and plays a role with setting direction of a firm, just like any other business owner does, responsible for developing people, developing business, playing a significant role with community activities. So, it's like any other small business owner. Marcus: Now, I know one of the things ... because we have very much and entrepreneurial audience, right? Their mindset is entrepreneurial. One of the things that I've learned over the course of the last two years is ... Last year a buddy of mine, Abe, who's also been on the podcast, suggested a book, Managing By The Numbers. It's the book that they use as part of the Emerging Leaders Program. As you kind of go through that, they're talking to you about balance sheets, and profit loss statements, cashflow, all that stuff and the analysis of all of that. I think one of the things that people don't realize when you go into business ownership is you start as someone who has a talent most oftentimes, like I started, I knew how to code websites. Marcus: One of the things that has to progress as a business owner is you have to first understand that your primary role is people and sales, but then you also have to have a very firm grasp of your financial situation, and that's not just looking at the checkbook and going, "Well, there's $500 in the bank account, so I can write that check." I think that's where people kind of get locked into accounting as not just something that you do at the end of the year to file your taxes, but accounting as a way of looking at your financial situation, and is it for me to buy a building? Is it okay for me to invest in this piece of equipment? Is it okay for me to press in and hire two or three more people? You know? Allen: Marcus, that is so true. Accounting is not ... it shouldn't be historical. While the historical financial statements or the tax returns, all those are infinitely important to the success, at the end of the day the numbers are telling a story. You know, we all need to be looking forward to what that is and of course understanding what those numbers ... or what the story is behind those numbers. Then let's all do our part to help express those, help the owners, the decision makers use that data and information to pick their future and accomplish what it is that they want to accomplish. Yeah. We work very hard to work with our clients to help understand the story behind the numbers, because that's also the fun part with what we do. Allen: You know, Marcus, as a young person, it's tough. What I did know was that I loved the business. I really loved business. I know that accounting is the language of business, and so I went into accounting because I like business, not so much that I was the debits and credits guy. That was [crosstalk 00:10:51]. Allen: Yeah. That was a necessary evil. That's important, and we are in a technical business, but, again, the numbers are ... just they tell the story. That's how I selected accounting is that I fell in love with business early on, and accounting being the language of business was why I chose accounting. Marcus: Very good. It's interesting, because sometimes people, especially like in my world ... 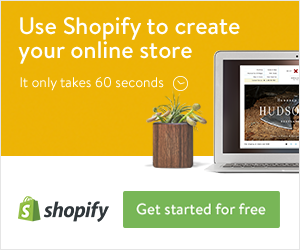 I managed to sell a website to somebody, and I put that website together, and I thought, "Wow. There might be actually something to this," and the business has just kind of progressively grown over a decade now because of that. I don't know. Is there a situation there? Because you came out of college and went into Wilkins Miller. Did you even have that experience when you started at Wilkins Miller, like, "Oh, no. This is it. I'm really jazzed"? Because it sounds like you made that decision kind of early on. Allen: Yeah. I knew I liked business. In 1987, we didn't even have computers. Computers were kind of a fresh thing. Marcus: What? Wait. There was no computers? Allen: They weren't widely being used. Marcus: You had to get the abacus out [crosstalk 00:12:05]. Allen: That's right. It was all by hand. Early on there was a lot of technical, a lot of things that are being done by hand, but I think kind of bigger picture, you know, I knew I loved business, and so being at the core of business, in terms of accounting, was where I found my home. It's highly technical early on, but as you get more experience, you get to get out of some of those details, and of course computers and software have helped us get out of the details, even with the young folks today aren't in those kinds of details, and ultimately provide higher level service. But as I got more experience, I increasingly loved the field, as I've gotten more experience and got to work with the business owners and the CEOs, like you, helping shape direction, and select strategy. Again, doing our part to develop the numbers, but then help interpret what does all that mean? It's a lot of fun. It is. Accounting's got I think an increasingly exciting profession for a lot of folks, because of some of those details. Marcus: Yeah. I think as people come to understand what it can do. Now, if you were talking to someone that wanted to get started in running their own business, what's the one bit of wisdom that you would impart to them? Allen: The one bit of wisdom. I would say jump in with both feet and try to be the very, very best at whatever it is that you choose to do. Try to be the very best, and get passionate about it, and try to be the very best, whatever I is. Marcus: Yeah. Those are life lessons that don't go wrong in any way, shape, or form. Allen: That's right. That's right. Marcus: Yeah. Now, what does a typical day look like for you? Marcus: I need to reword that question, because I get that quite often. It's like, "No. There is no typical day." I mean, give people kind of a glimpse. I know you're probably meeting with people a lot and spending a lot of time just answering questions and stuff. Allen: Yeah. I spend a lot of times with our team, which I always really enjoy, on the phone a lot with clients, and managing projects, spending time on those, a lot of phone, a lot of phones, a lot of conversations that occur. Marcus: Now, when you look, and not just to the business world here in Mobile, but when you look to the business world, is there anyone that you kind of look to and think, "Yeah. That guy's ... There's some stuff to look at there," that you really think is cool? Allen: You know, Marcus, that's a great question. It's also a tough question. When I think about that, I don't have it zoomed in on one particular person. I think about some of the traits of people that I admire or that inspire me. I've been fortunate to have a lot of really good mentors over the years that folks had invested in me, colleagues, partners, you know, a variety of folks. My parents certainly made a huge impact on me. But I think about folks that motivate and can get the best out of people. I know I've been the benefactor or the beneficiary of folks that led me, and I could do more with them being there and pushing me than I could do on my own. Allen: I think about football coaches. You know, I'm an old football player through high school. I always admire the college football coaches and their ability to motivate people I think about the business leaders that can do the same thing, in terms of developing teams. In the end, I am really inspired by the folks that are really passionate about what they do, you know, and that they really, truly do is and try to do it at a world class level. I mean, that to me is always really a cool thing, you know, within any industry, or profession, or whatever it is. I'm always really moved by that. Marcus: It's interesting how that has ... I mean, it's not just the business world anymore, is it? When we look to how things have changed even over the course of let's say the last even 10 years or less, you know, you can be a world class baker, or a world class electrician, or a world class whatever and just caring about your craft. I mean, it doesn't have to be Steve Jobs or Elon Musk, or anything like that, right? Marcus: Going kind of along that same vein, are there any books, or podcasts, or organizations that have been helpful in moving you forward? Allen: Yes. In terms of books, a couple of the books that have shaped my past and helped me get better, a couple was, and I would kind of take them in order was Jack Welch's book, Winning, that basically taught me that even at the highest levels of leadership, that getting involved in the details, and understanding, shaking things up, trying to get an organization better processes, whatever it is. That was an early reading for me. But probably the biggest book or the book that made the biggest impact was Good To Great. Are you familiar with Good To Great? Marcus: That were just mediocre. Marcus: I didn't know that. Allen: ... read, and it's really great as well. Marcus: Simon Sinek I believe. Allen: Yup. I think that's right. The power of having a strong purpose, and that too has been I think ... Again, I don't know that there's anything that is just earth shattering. I think it affirms our instincts that we all want a strong individually and organizations need a really strong purpose and a mission. If you have that strong purpose and mission, a lot of great things can come from that. Marcus: Those two go together though, don't they? Marcus: So, if you have a strong purpose and mission, you know the people that you need on the bus in order to achieve the goals that you have set forth. Allen: That's it. Those are two perhaps most important things for us to get right. Then the book, Blank, by Gladwell. Marcus: I've not read that one, but I've heard very good things about it. Allen: You should read that. Again, I don't know that anything will just like surprised you, but it will affirm that I think most of us have really pretty good instincts, that there's a reason for that. We have all these experiences that build into where we are, and it affirms to me that I think we need to maybe listen to those. When I look back, I felt like I've had pretty good instincts, but I haven't always acted on them. Allen: That book will give you some confidence to act on. Marcus: You said that a couple of times, that there's nothing earth shattering, but I find when I'm reading a book, or going to a conference, or listening to a podcast, or something like that, I am looking for that affirmation, but sometimes it's just a nuance, like there's some ... I'm gonna take one little piece out of that whole thing. I listened to a three hour podcast, or I'll read a 200 page book, and there may be just one paragraph in that whole book, and I'm just like ... You know, I just kind of put my hand against my forehead and go, "Why didn't I think of it in that way before?" It makes the whole thing worth it, because let's be real. We're all reading these books. Marcus: I have this spoof that I want to do on Tai Lopez's video, and I don't know if you know who Tai Lopez ... He's the guy that did the iPhone video in his garage, and he's got a Lamborghini sitting there. He goes, "Yeah, but what I find more important is the 4,000 books," or something, that he had seven bookcases. I want to do a spoof on that, because his whole thing is that he talks about books as a way of folding back the time, because you are taking somebody else's knowledge and injecting it into your head, and that helps shorten the amount of time that it's gonna take you to learn and get where you want to be. Allen: That's a good point. Marcus: So, I think when we listen to a podcast, or read books, or things like that, if we change our perspective and think of it in that sense, then it becomes even more powerful. Marcus: As business owners, we always have that thought. Allen: Yeah. When you read and you get the perspectives, you either ... that you debunk some thinking that you may have had, or it affirms some of your core thinking. Allen: Marcus, you talked about organizations. Of course, I've learned a lot from my organization, but one of the organizations, and it was a service oriented role for me, I was serving on the board of Saint Luke's Episcopal School at the time. It was my kid's school. Allen: It was probably in the 2002, 4-ish, to the late 2000s range. That school was considering, the board was considering creating a high school. It only went to the eighth grade at the time. I was sitting there as chair of the board at the time. So, we began to study that whole process. What I learned put a lot of things for me. I learned an incredible amount through that exercise, but what I learned is, again, the power of people, having the really good people on the bus to accomplish something. Of course, that school went on to acquire the old former Right's Girl School Campus out on University, and it did create the high school, which is doing great things today. My daughter graduated from the high school. Allen: But the cool thing was is that people, the power in people, okay? Having the right people on the bus in the rights seats, and we had a world class team that came together to make that possible. Secondly is the power of purpose. You talk about a strong purpose is sitting back and saying, "Let's go start a high school, and how can we afford it? How can we fund it? Does it make sense?" That is a strong, strong purpose. Allen: Then the other thing I learned through that is timing, the importance of timing. I didn't realize or didn't appreciate this at the time, but looking back I can see it, that there was probably a very short window of time, because that was on the eve of the whole financial crises that of course the market crashed, and the economy took a big step back in the beginning of I think it's the Great Recession is that we refer to it as. Literally probably a six month or a year window of time that that would have been possibly, because of all the moons aligning, and then there was a period that it would not have been possible. I think that the power of timing ... I wish we could all look in a crystal ball and see all of that. We can't see that, but I think that so much of both good and challenges that come to the world or have come to all of is in our businesses is a lot of timing too. Marcus: There's some truth to that for sure. They all go together, right? So, people, purpose, timing. Yeah. The relationships there are very, very important. What's the most important thing that you've learned about running a business? Allen: Just take care of people I think is the biggest thing. Just try to get the right folks, take care of them, and serve your clients. Marcus: Right. Show them that you appreciate them. Allen: Go that extra mile. Work your rear end off to deliver to clients. Marcus: Do you have any interesting ways that you reward people? Marcus: You've been a very giving ... I mean, full disclosure, you and Lindsey have both been very gracious and brought gifts, because of the small business thing, so I Thank you very much for that. So, I'm betting that that probably carries over into the business world too. Allen: Yeah. We try to have fun. Marcus, we do a variety of things. We try to have a lot of fun as a group. We enjoy each other. We spend more time with our colleagues than we do our own families often. So, much like you all here, I can see y'all have fun. You have a great group as well. That's a big part of it, just enjoying each other and compensating folks well, trying to maintain some work/life balance or integration as well is important. We've got a number of different things. We often have our socials and our TGITs. Marcus: ... and have speakers come in and stuff like that. Marcus: I mean, there's all kinds of different ways. I guess where I was going with that is you mentioned compensation. Compensations isn't all ... I think I want to break through that box of people thinking that, "Well, I just have to pay people more. I have to give them ..." There is some level of, yes, you do need to pay people what they're worth, but there are small rewards that you can do, whether it's just buying somebody lunch or telling them in some other way that you really appreciate the extra mile that they went. Allen: That's a great point, saying, "Thanks. We appreciate what you're doing," is a big deal. You're right. It's not just about monetary compensation. There are lots of intangibles, because if you don't have the right organization, there may not be any amount of money could pay somebody to get them to really stay with you for the long term. Yeah. There's more to it. Marcus: This is the most difficult question that I'm gonna ask you, and you're gonna squirm a little bit when I ask you this, but how do you like to unwind? Allen: Gosh. I've got a bunch of things that interest me. I grew up, I learned to fly at a very early age. Allen: At 18, I got my pilots license. I guess I'm deeply passionate about aviation. Marcus: That is so cool. Marcus: You don't like to ride in the dead heat of summer? Allen: I don't care for that. Yeah. Marcus: With the haze coming up off the asphalt. Allen: That's really just no fun for me. I get on the boat during the summer. My wife and I have a boat. We enjoy getting out and getting in the water, being on the water. I love Dolphin Island. I kind of grew up and my parents have a place on Dolphin Island. My wife and I do now as well. I enjoy getting to Dolphin Island as much as possible, getting out on the water. Those are the kind of things that we enjoy. Marcus: We got to get you back in a plane though. Allen: I'd love to. Yeah. I'm just on the bench right now, just because of time. Ido really love flying and aviation. My son and I, we were fortunate to go to Oshkosh probably 15 years running. I don't know if you ever heard of Oshkosh, but Oshkosh is the great big industry trade show for general aviation up in Oshkosh, Wisconsin. The whole town shuts down. I think a third of general aviation fleet come through that event. It's like Disney for the aviation types. You know? It's like Disney. Marcus: Abe, from Harper Tech, is a pilot and has a small plane. I've always been envious, because it's nothing for him to pop over to New Orleans and pick up beignets and come back, or fly up to Birmingham and get a hard drive from somebody and come back, or go there for dinner or something like that. I love that idea of being able to, you know, just go, because so oftentimes, as business owners, we don't have time, right? So, if you can cut it out somewhere, that's great. Allen: It's a great way to travel regionally, but you have to stay with it, and take it seriously, and fly a good bit to be good at it. Marcus: Good? Yeah. Yeah. There's nothing worse that a bad pilot. Now, tell people where they can find out more about Wilkins Miller. Allen: Our website is WilkinsMiller.com. My email address is ACarroll, A-C-A-R-R-O-L-L, @WilkinsMiller.com. Marcus: Very good. I imagine you guys Facebook. I know you're on Instagram, because I get pinged there a couple of times too, which is cool. An accounting firm that has an Instagram account. Go and follow them. That's really pretty cool. Marcus: Yeah. Well, Allen, I want to thank you again for coming on the podcast. To wrap up, any final thoughts or comment you'd like to share? Allen: You know, Marcus, I'd like to thank you for doing what you're doing in these podcasts. I'm certainly honored to be here to participate. 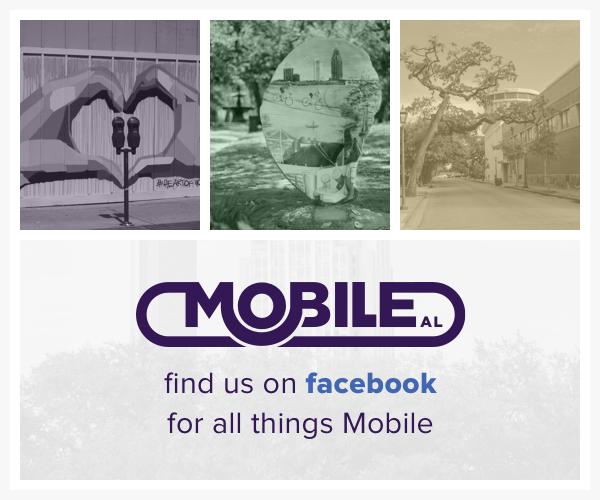 Thank you for being a cheerleader for the entrepreneurial community in Mobile. Having grown up here, I'm so excited about what's going on, and I think the kinds of things, what you're doing, is an important element in what's going on, so thank you for that. I mean, lots of wonderful things that are going on, so we appreciate what you do. Taking time from your business to do this is incredible, so thank you. Marcus: Thank you for saying that. Well, Allen, I appreciate your willingness to sit with me and share your journey as a business owner and entrepreneur. It's been great talking with you. Allen: You're welcome. Thank you, Marcus.